This article covers the best sleep aids (natural) on the market. These are all natural nutrients which have study-backed evidence showing that they work well for improving the quality of your sleep. Below, we’ll be covering what a natural sleep aid should do, what you should be looking for, and finally our list of what we think the most effective ones are and why. Our recommendations will fall under two areas, the nutrients that work the best for sleep, and the formulated stacks that deliver the best results. If you’re less interested in the information, and just want to know our recommendations, feel free to used the contents box below to go to the appropriate section. If you’re looking on Amazon, CVS or anywhere else online for sleep supplements, it can be a minefield. There’s so much to choose, and not a lot of information out there to help your decision making. We try to review as many natural sleep aids as we can to make it easier, but we can’t cover them all. As much as we’d like to, there are just too many. This is a shame, because not all of the sleep aids out there are as reliable as they claim. However, if you’re curious about any that we haven’t covered, feel free to contact us and we’ll schedule it in for a review. Until then, we’re going to give you a heads-up on what to look out for when researching natural sleep aids. This is a problem in the supplements industry in general, and extends far beyond natural sleep aids. So, what are proprietary blends? A proprietary blend is a formula used by a supplement manufacturer that doesn’t disclose the individual dosages of each ingredient. As you can see, it’s an 864 mg blend – but do you know any of the dosages for the individual ingredients in here? Without knowing how much of each ingredient you’re getting, how can you know how effective it really is? 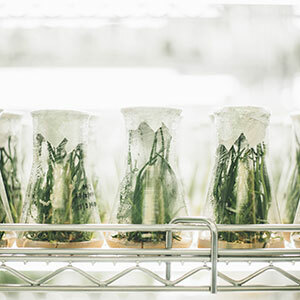 They could be increasing the doses of the cheaper ingredients and lowering the levels of the more expensive and effective ones – and you’d be none the wiser. It’s a serious lack of transparency on a manufacturer’s part. Not only that, there’s also a risk of danger if there are ingredients which have links to side effects. There’s no way to know if it is appropriately dosed. This should be something you definitely need to look out for. With every supplement type, there’s always a ‘bad boy’ choice. An ingredient that manufacturers know has several potential side effects – but they just can’t help themselves to include it. These are the types of ingredients that do deliver on their claims, but at the same time cause numerous unwanted side effects. Manufacturers usually see this as the good outweighing the bad, but we feel differently. No supplement should run you the risk of side effects – and you shouldn’t settle for anything less. Phenibut (aka 4-amino-3-phenylbutanoic acid) – Another potent anxiety reducer which may promote sleep (study). However, Phenibut is both physically and psychologically addictive (study). It may also cause stomach upsets. It is banned in the EU and in Australia. If you live outside of the United States, your country may have already banned supplements containing these ingredients. However, if you are in the U.S., be sure to check the label before deciding on a supplement containing these. What should the best sleep aids (natural) do? Improve Mood – Feel more calm and relaxed to help you fall asleep faster and easier. Promote Melatonin – Increases your overall levels of the sleep regulating hormone melatonin. Reduce Night Disturbances – Prevents involuntary movements which may wake you up during sleep. Nutrients that do this should be exactly what you’re looking for. You want the best sleep aids (natural), to put you in a relaxed mindset, then increase your melatonin to make you sleep, and finally reduce overnight movements to stop you waking up. Melatonin is a hormone that regulates sleep-wake cycles. It is primarily released by the pineal gland. As a supplement, it is often used for the treatment of trouble sleeping. It’s simple enough. You don’t need a lot of nutrients to do it, you just need the main ones that work in a good dosage. 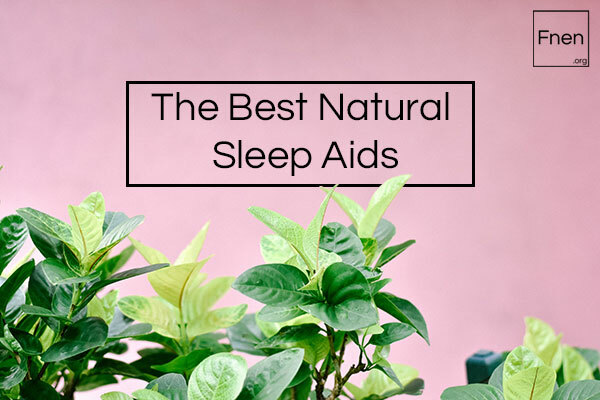 Before we get into the actual sleep aids on the market at the moment, we want to cover the individual natural nutrients that perform the best for sleep. In our opinion, magnesium is the best natural mineral for sleep. Although it doesn’t directly put you to sleep, it makes up for it a lot by helping to give you a long undisturbed rest. Magnesium is a fairly common mineral in natural foods. You can find it in fruit, nuts, seeds, vegetables and more. It’s main benefits aim to target bone health and calcium absorption (study). However, one of the lesser known benefits of magnesium is how it can improve sleep. The main way it does this is by helping you sleep through the night. Studies show that supplementing magnesium can help reduce muscle twitches and jerks during your slumber (study). By doing this, you’re less likely to wake up in the middle of the night because your body is more at rest. Further studies show that supplementing magnesium can lead to be better quality sleep in general. 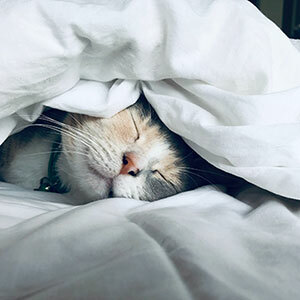 By restoring subjects with low magnesium levels back to healthy levels with regular supplementation, users began to experience better quality sleep (study). Other research shows that oral supplementation of magnesium can help to reduce age-related sleep problems in as little as 20 days (study). It’s definitely worth adding to an effective stack. 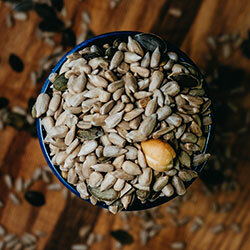 This is a great nutrient that is a must-have when it comes to boosting your quality of sleep. Before we even get even to how it can help improve your sleep, Tart Cherries have great health benefits. They’re packed with vitamins, minerals and antioxidants which can help your general health. We’ve written about the benefits of this fruit before if you want to know what else it can do. If you want to read about all those you can see them here. As for the sleep aspect, Tart Cherry is full of natural melatonin. As we’ve mentioned, that’s your body’s natural sleep hormone. By improving your overall levels of the sleep hormone in your body, Tart Cherries have been in studies to promote your sleep quality, length of sleep and general experience (study). More studies confirm this, with more evidence showing that supplementing melatonin can help increase overall sleep time by up to 85 minutes (study). It’s an effective, and very underrated nutrient in the supplement industry. This is the best natural amino acid on the sleep aid market. 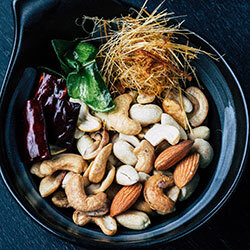 Commonly found in nuts, seeds, tofu and even pineapple. It can help you in numerous ways, however, here we’ll be focusing on the sleep aspects. L-Tryptophan is an effective option because it works as a natural precursor to melatonin. After you absorb L-Tryptophan, it goes through a lengthy, but worthwhile, conversion cycle. Your body converts L-Tryptophan into 5-HTP. 5-HTP is a compound in your brain that gets converted into the feel good hormone serotonin (source) – the ‘happy’ hormone that has the added bonus of improving your mood. Serotonin is then converted into melatonin, which can help improve your sleep when it comes nighttime (study). Quick Summary: There you have it, the best mineral, nutrient and amino acid for maximum sleep gains. Magnesium reduces restlessness overnight, Tart Cherry boosts melaton, and L-Tryptophan give you promotes mood while also aiding melatonin. Sleep aid supplements are nothing new. They’re over-the-counter preformulated stacks which combine numerous nutrients, minerals and amino acids under one sleepy package. We’ve looked a lot of them on the market, and spend hours every day researching them. As of yet we’ve yet to find any that have contained all the nutrients that we’ve mentioned. Note: We have a full review of this supplement over here. 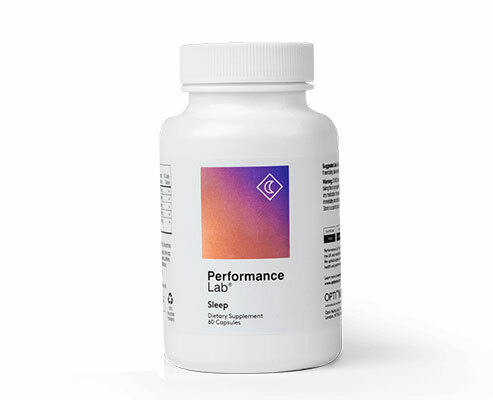 At $40.00 a bottle, the best sleep aid (natural) out there at the moment is Performance Lab Sleep. We have several reasons why we think this is the case. It’s also protected by a 30 day guarantee. If you try it for a month and don’t see any benefits at night, you can send it back for a full refund. 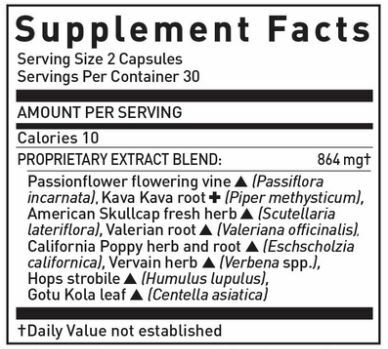 The first thing that we like about this supplement are the ingredients, and the more we researched it, the more we liked it. It’s the only supplement that we’ve seen on the market that contains all three. Not only that, Performance Lab goes the extra mile with the quality. There are three types of magnesium in here; bisglycinate, taurate and BioGenesis. Bisglycinate is magnesium bound to glycine which can help protect the mineral from stomach acids to improve absorption. Taurate is mangesium-bound taurine, which promotes the hormone GABA which reduces anxiety (source). Finally, BioGensis is Performance Lab’s own brand of magnesium which dramatically improves absorption (more information). 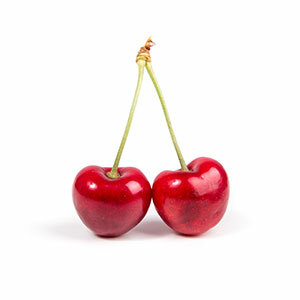 The Tart Cherry is great too, CherryPURE has a 50:1 potency compared to normal Montmorency tart cherries. That means supplementing the 500 mg in here is the equivalent to 25 g of Tart tart cherries. Finally, the L-Tryptophan in here is TryptoPure, a cleaner version of L-Tryptophan. It’s extracted from non-GMO, gluten-free vegetables to give you the purest most body-friendly form. This is the genius of Performance Lab Sleep, and why we think it’s the best sleep aid (natural) – the ingredients are synergistic. The Magnesium and L-Tryptophan work together here. Magnesium helps in the L-Tryptophan conversion into serotonin. This can help you get the benefits to fall asleep much faster. Performance Lab are known for this, all of their supplements can be stacked and used together for maximum benefit. Performance Lab is the cleanest supplement company we’ve seen, both in look and in content. All their supplements are made in an FDA-approved facility, and made to cGMP (Current Goods Manufacturing Process) standards. It’s incredibly clean – as well as being vegan, gluten-free, soy-free and allergen free.